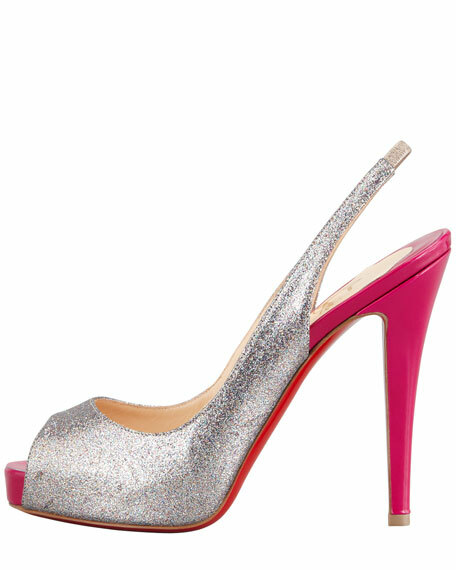 The sparkling glitter and patent platform of Christian Louboutin's famed No Prive pump makes for an enchanted evening. 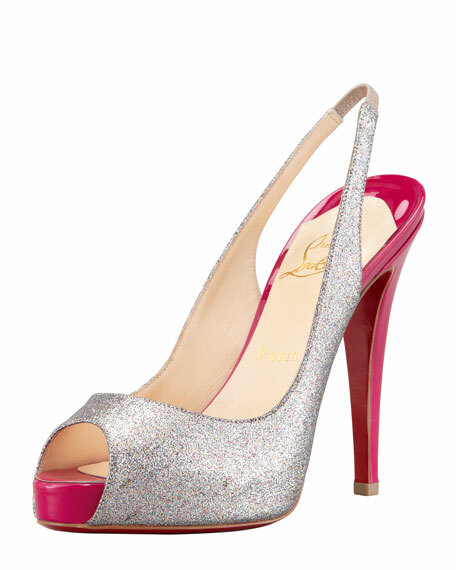 Micronized glitter covers signature silhouette. 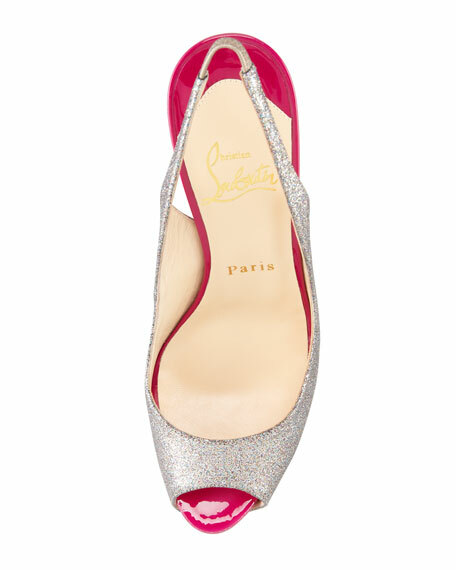 Stretch-inset slingback strap provides secure fit. 1" covered platform; 4" equiv. "No Prive" is made in Italy.